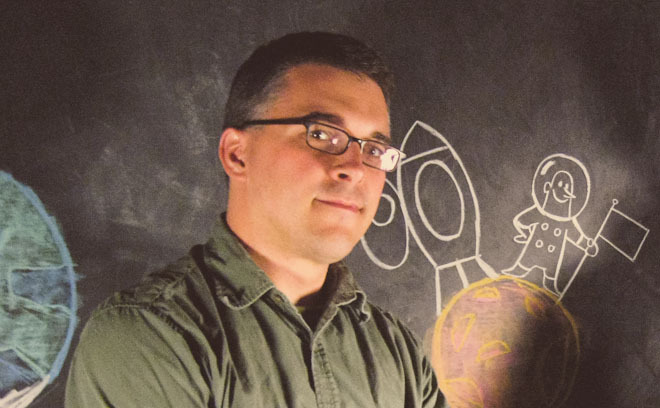 Jim Capobianco is a writer, director, and storyboard artist. A graduate of the California Institute of the Arts, Jim started in the story department at Walt Disney Feature Animation on The Lion King. After five years of storyboarding films like A Bug’s Life, Toy Story 2, Monsters Inc., and Finding Nemo at Disney, Jim relocated to Pixar Animation Studios where he contributed to the stories of many Pixar’s films of the past 15 years. In 2008, Jim was nominated for an Academy Award for Best Original Screenplay for Ratatouille. He went on to write and direct the short film Your Friend The Rat, found on the Ratatouille DVD, winning the 2008 ASIFA-Hollywood Annie Award for short films. He followed YFtR up by directing the critically acclaimed end titles for Wall•E. In 2009, he finished Leonardo, his first independent film, now in the permanent collection of the MoMA NYC, and incorporated Aerial Contrivance Workshop, an animation thinktank. Currently, Jim is on the pre-production team of several Pixar features and he is creating a Leonardo game and the second Leonardo film.